Like his trademark suit, David Myles’ music is timeless. Regardless of quickly passing trends and fads, it will persevere. From soulful, contemporary pop crooners to delicate, jazzy folk ditties, and down-home, back porch roots tunes to infectious hip-hop earworms, David’s only artistic constants are his always growing, shape shifting songwriting, and his exceptional ability to entertain. David effortlessly injects any song with his irresistible energy, which has led him to numerous collaborations, most recently with the Latin Grammy award-winning Alex Cuba on “In 1-2-3-4” —a simmering toe-tapper infused with the heart of Havana’s dance floors. In 2012, he teamed up with Canadian hip hop star Classified and produced the JUNO award-winning, quadruple-platinum “Inner Ninja”, the biggest selling rap single in Canadian history. His endearing live charm, coupled with an uplifting sense of humor, has gained David an increasingly large fan base, and afforded him frequent festival appearances. 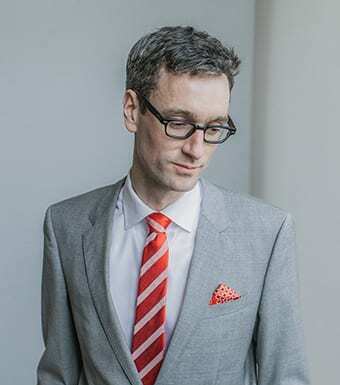 In 2014, he became the host of CBC’s “East Coast Music Hour”, a new radio program and web portal dedicated to Atlantic Canadian music and music makers. You won’t want to miss this year’s Deep Roots Music Festival Thursday night concert when David Myles and Classified come together to share their winning sound in a special acoustic performance!